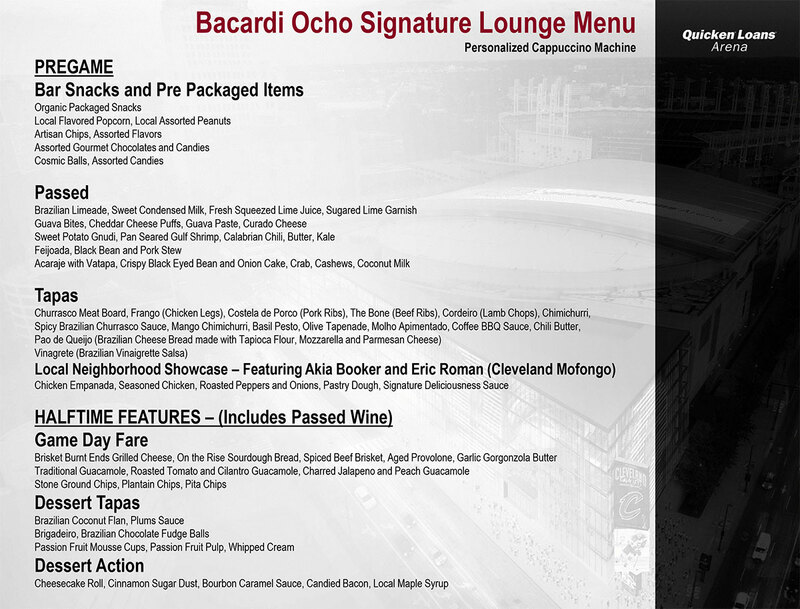 The Bacardi Ocho Signature Lounge is the crown jewel of Rocket Mortgage FieldHouse. 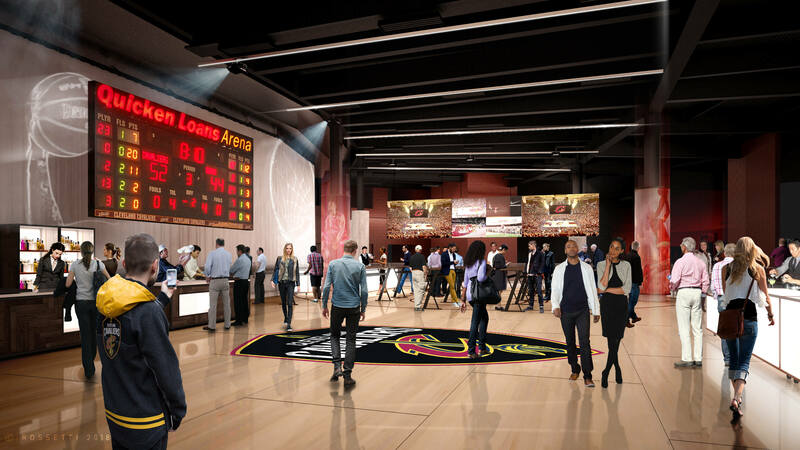 Located across from the Cavaliers locker room, it provides visual access to the players hallway and tunnel with unprecedented behind-the-scenes glimpses of the team. 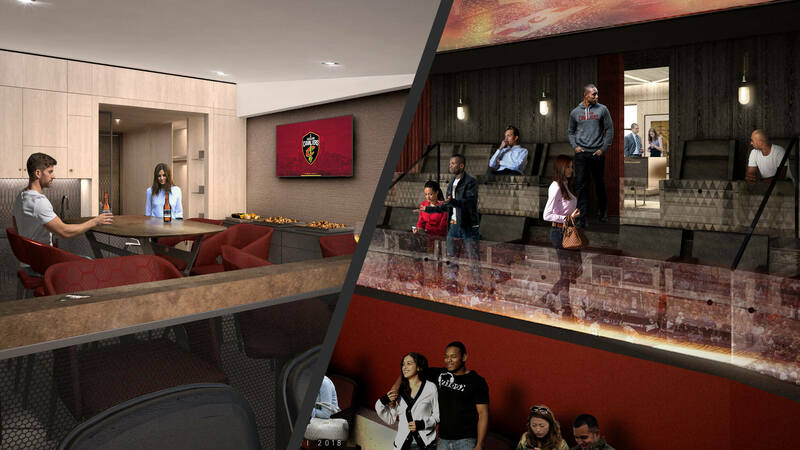 The Bacardi Ocho Signature Lounge offers a limited 160 memberships, making this VIP space the most exclusive club in the arena. 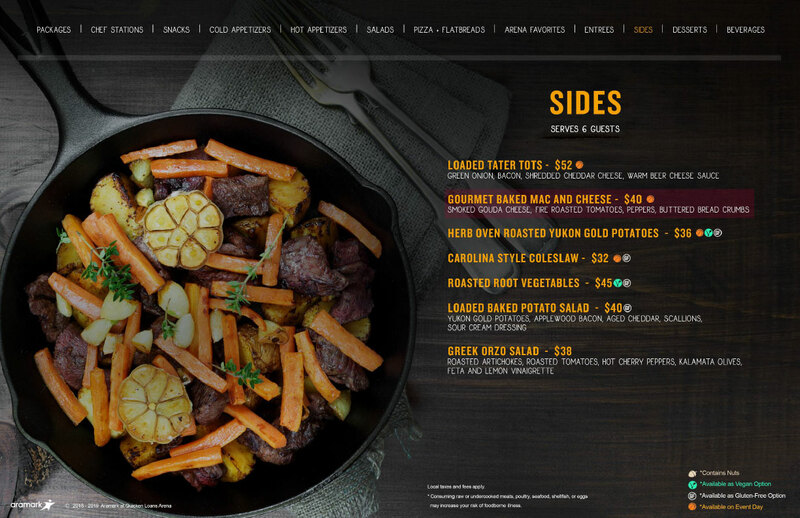 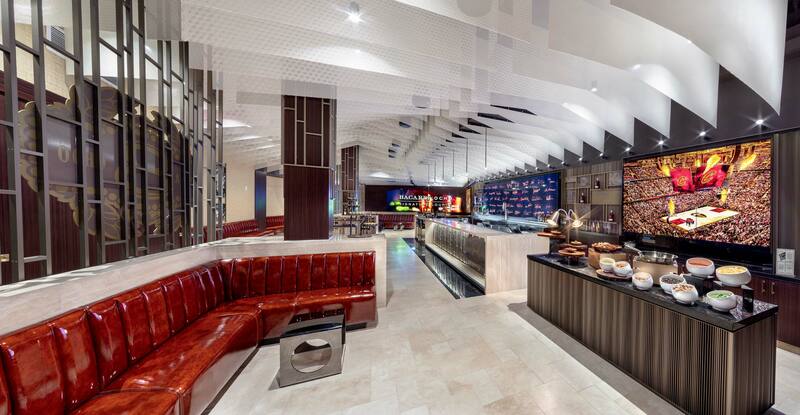 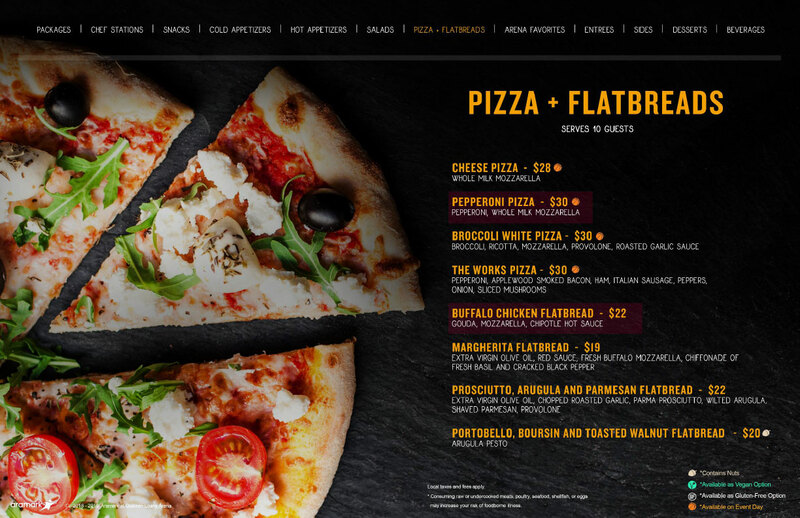 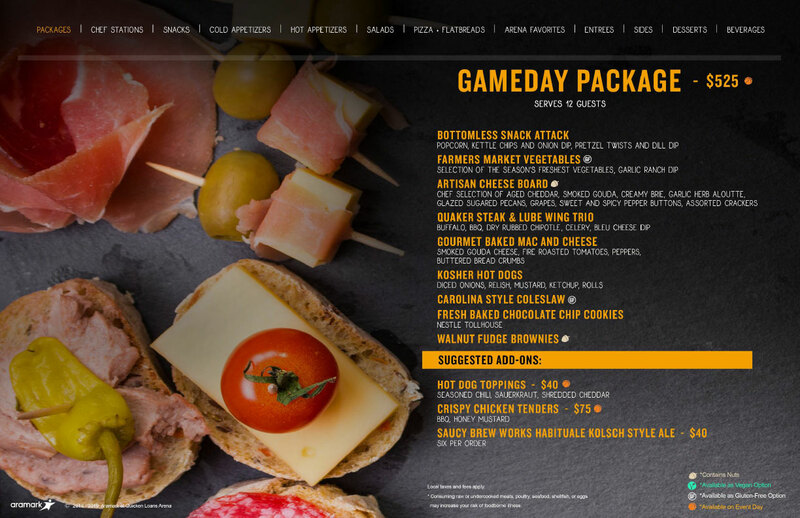 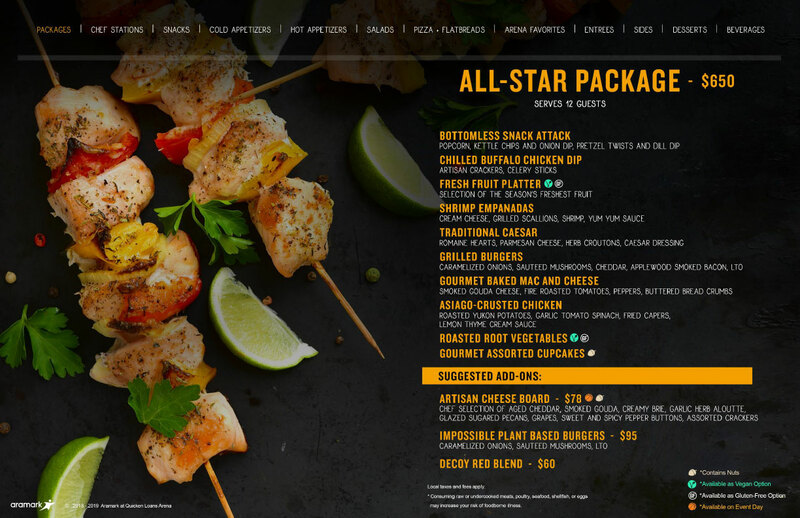 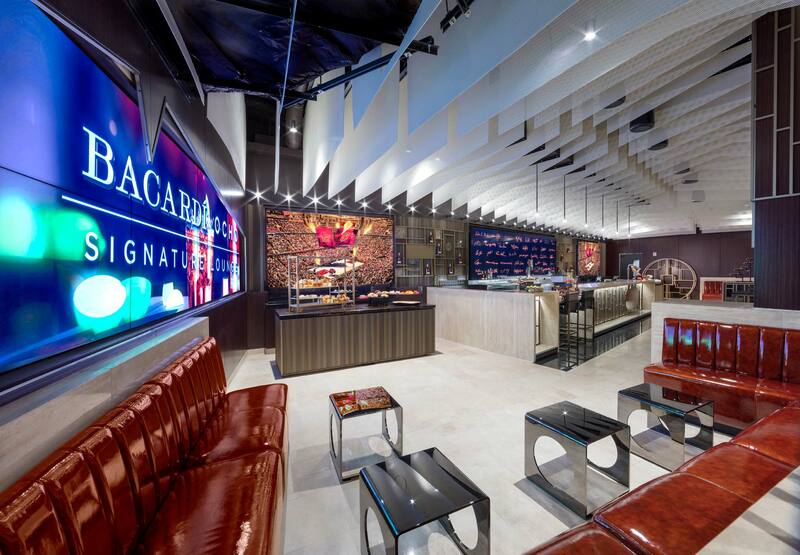 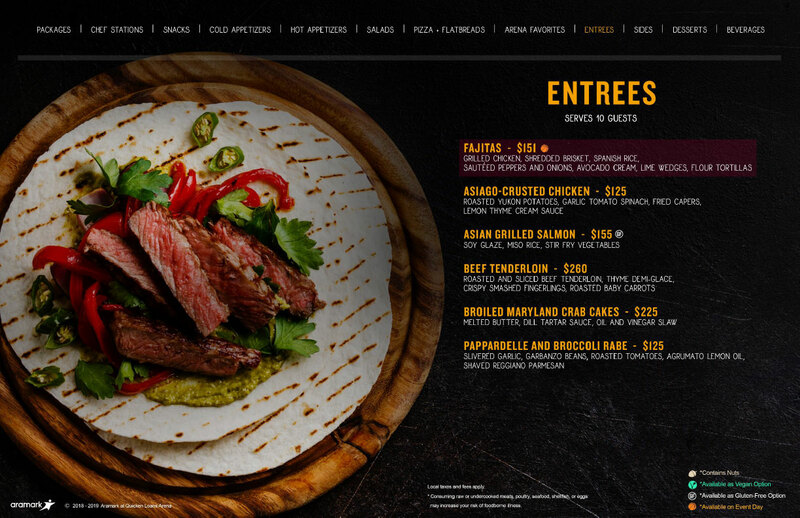 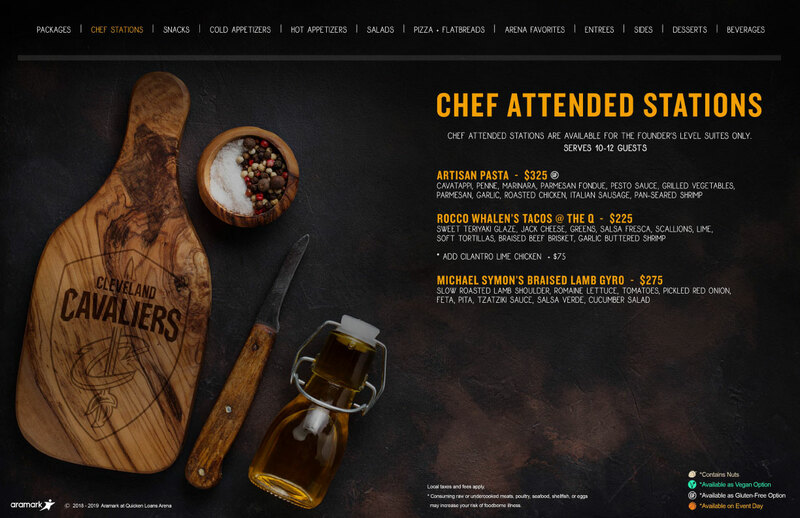 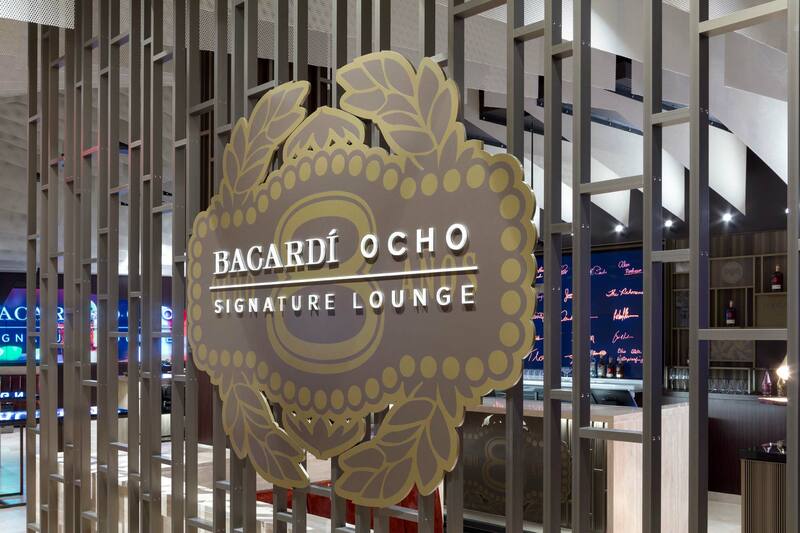 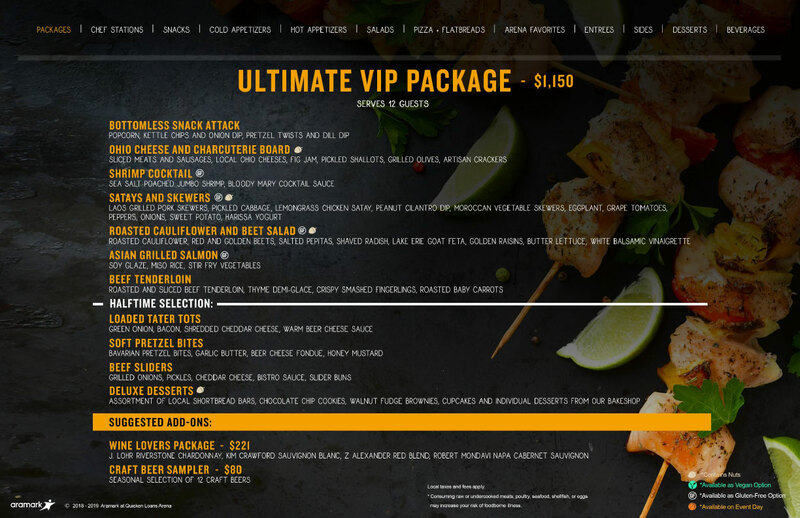 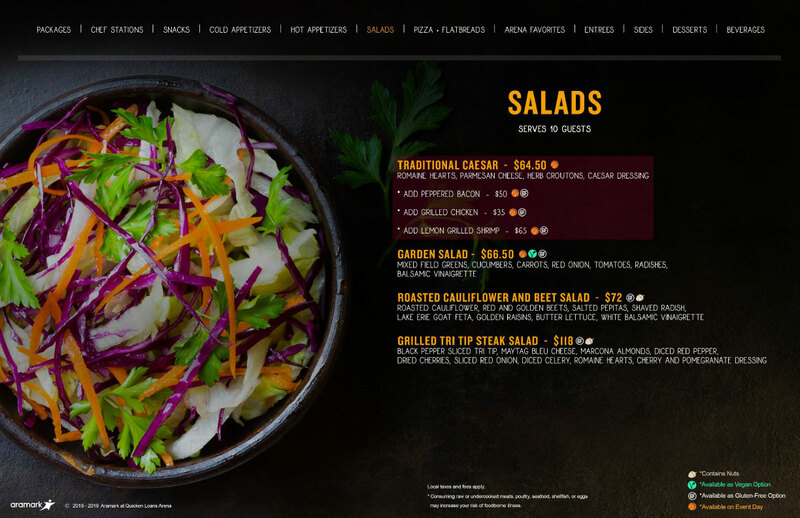 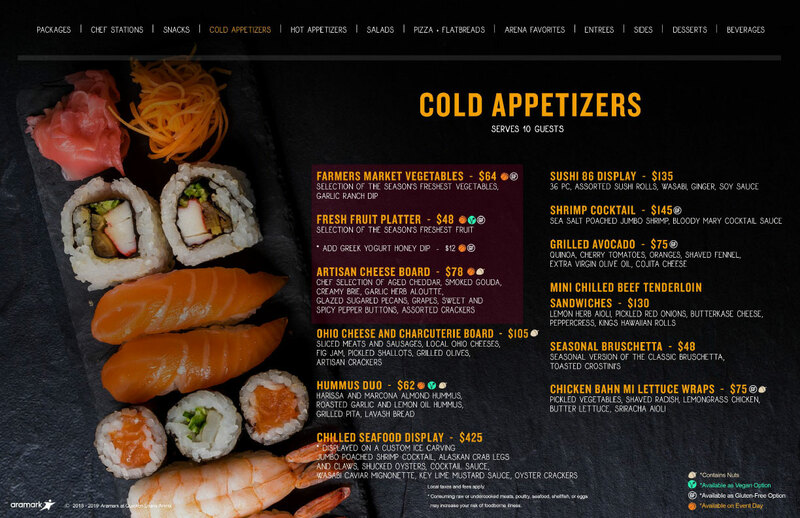 Membership to the Bacardi Ocho Signature Lounge includes exclusive services and a premium dining experience. 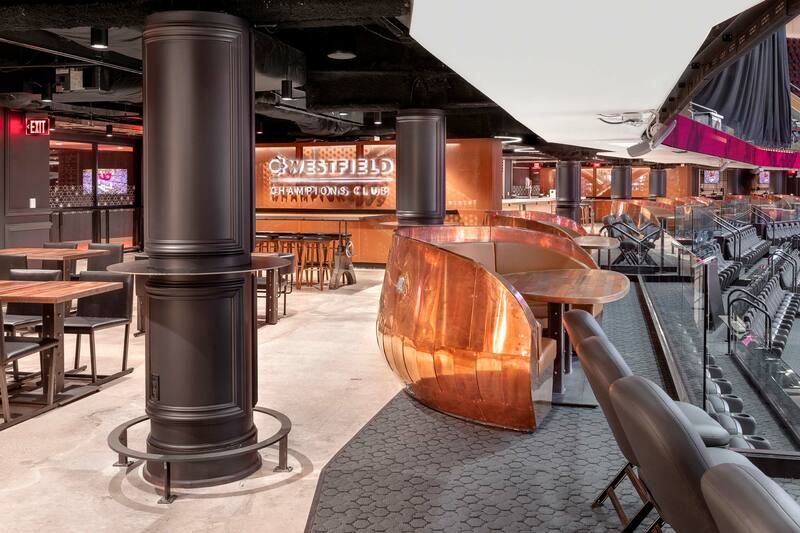 The Chairman’s Club is a distinctive courtside level club that characterizes Cleveland’s rich architectural heritage and evokes a sense of nostalgia, familiarity and comfort. 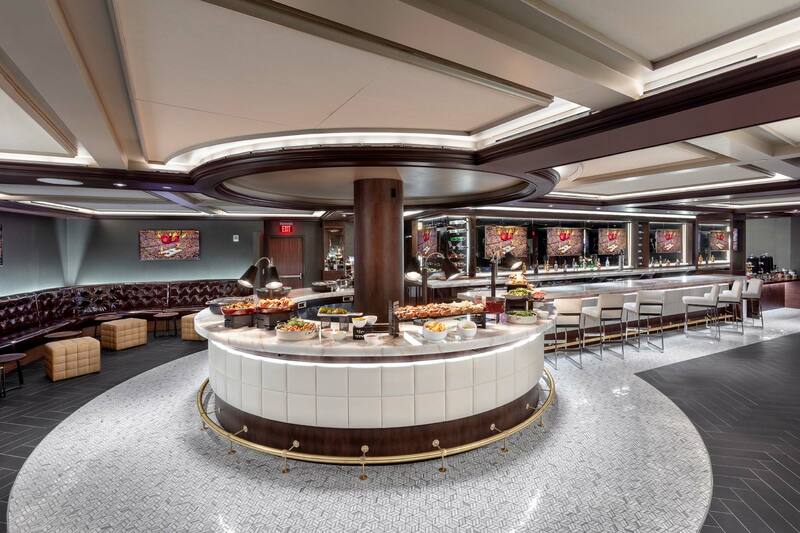 The Chairman’s Club features luxury finishes, including plush leather seating, and 70-inch flat screen TV’s with high-definition sound systems. 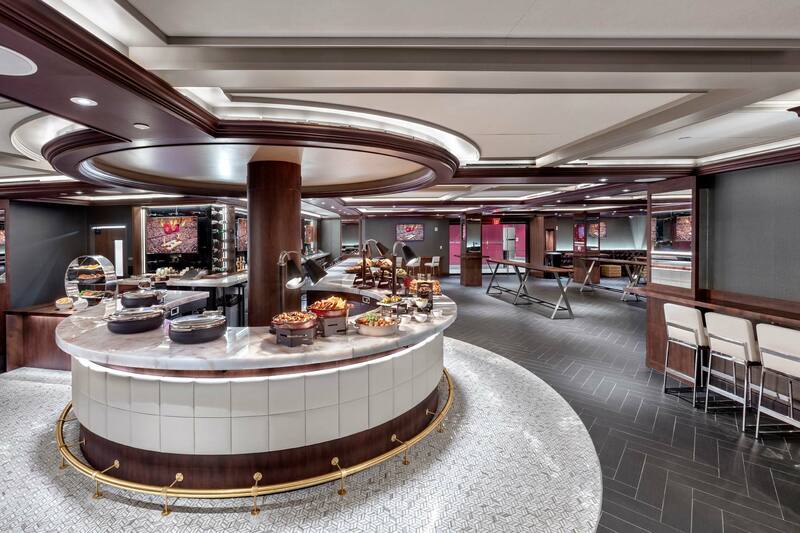 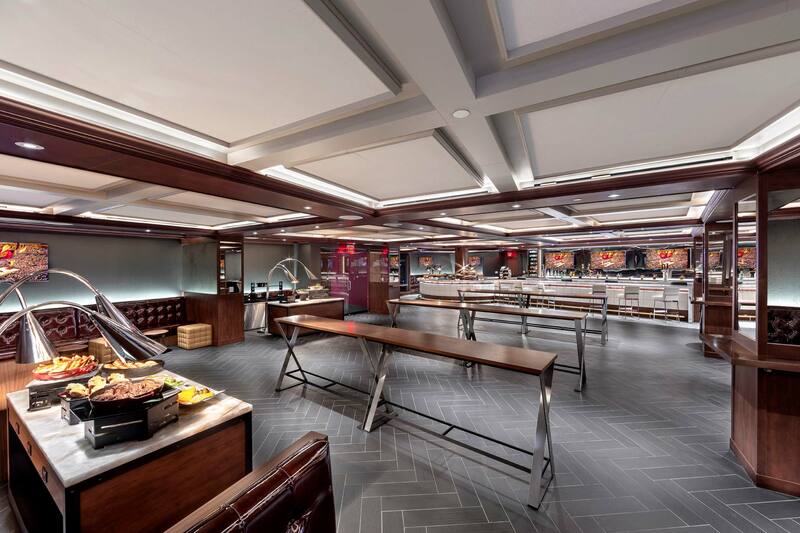 This impeccably designed space is limited to 250 members who will enjoy all-inclusive food, beer, wine and other spirited beverages. 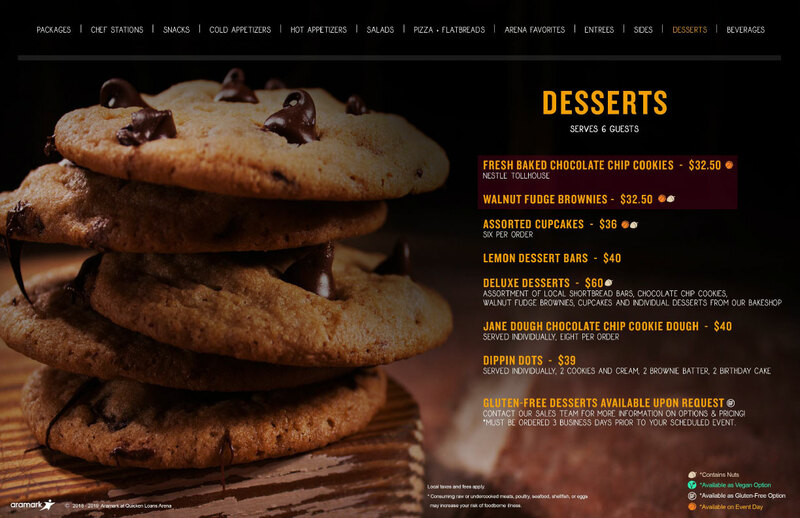 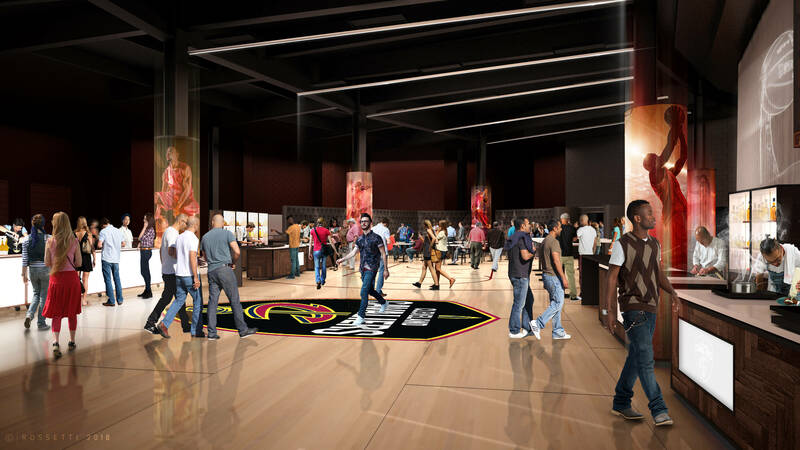 The Courtside Club is the largest and most interactive club on the courtside level designed for fun and socializing. 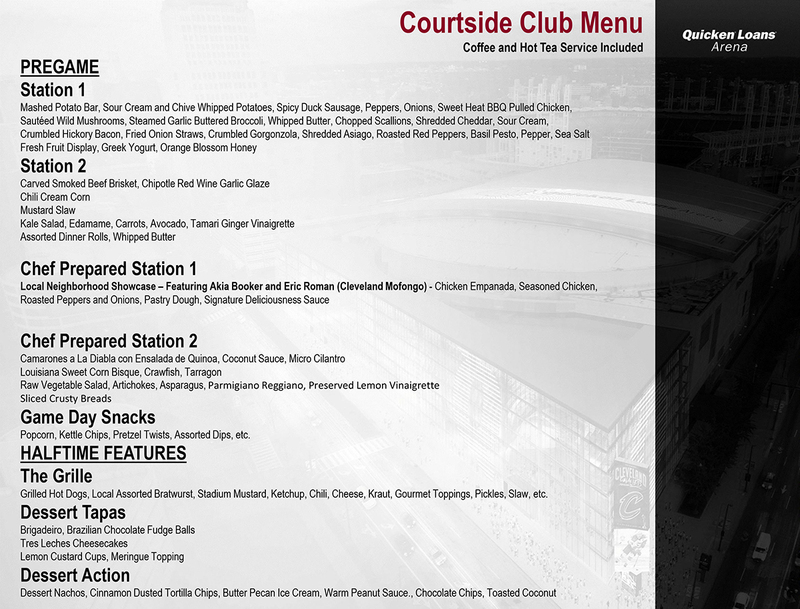 Located near the players underground parking garage and arena operations nerve-center, the Courtside Club is a high-energy space that features a Biergarten-inspired atmosphere to create the perfect environment for members to relax in an open floor plan with buffet stations, private bars and large media displays. 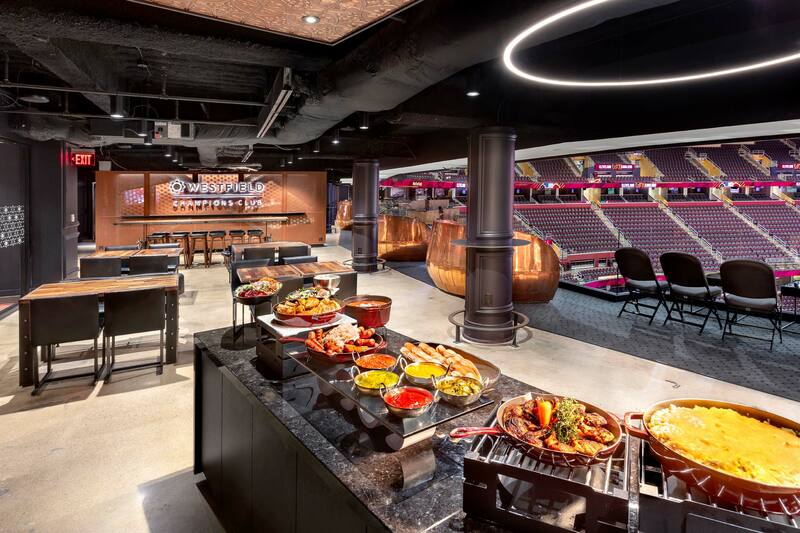 Celebrating and remembering Cleveland Cavaliers and Cleveland hockey legends is the focal point of the Huntington Legends Club. 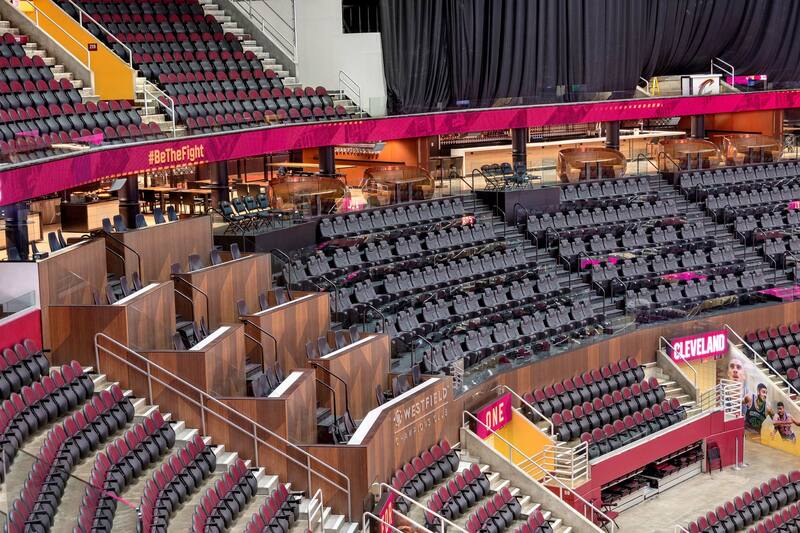 Located on the north end of Rocket Mortgage FieldHouse, the Huntington Legends Club features private theater box seating that overlooks the arena bowl with great views for all Cavaliers games and Rocket Mortgage FieldHouse events. 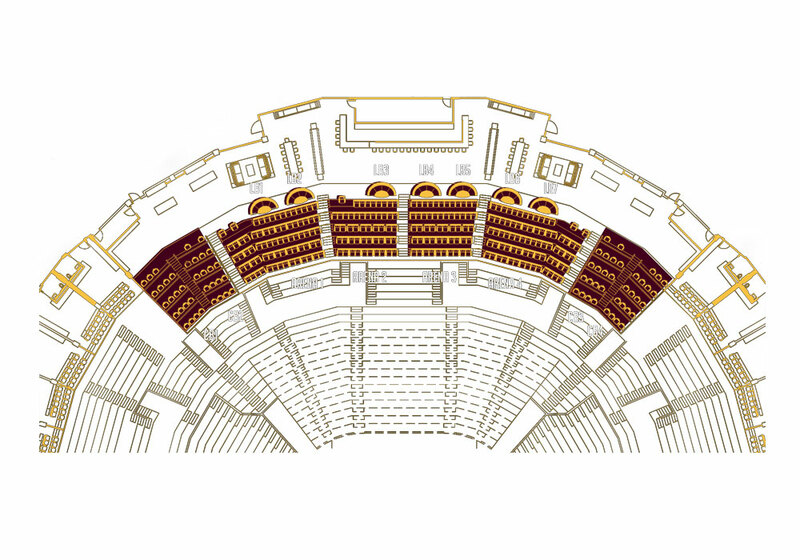 Available in four and eight seat plans, each box is furnished with comfortable plush leather seats and drink rails. 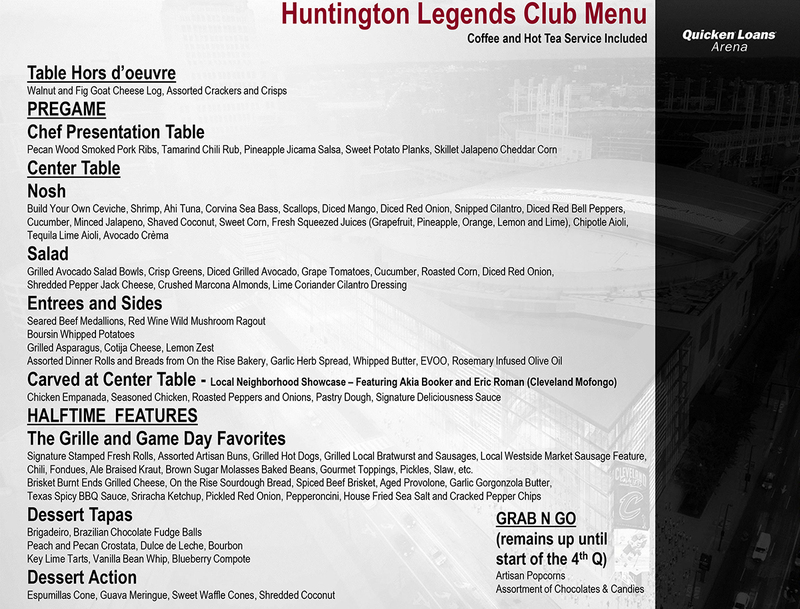 At the upscale Huntington Legends Club guests can enjoy food and drinks, lounge seating and private dining tables. 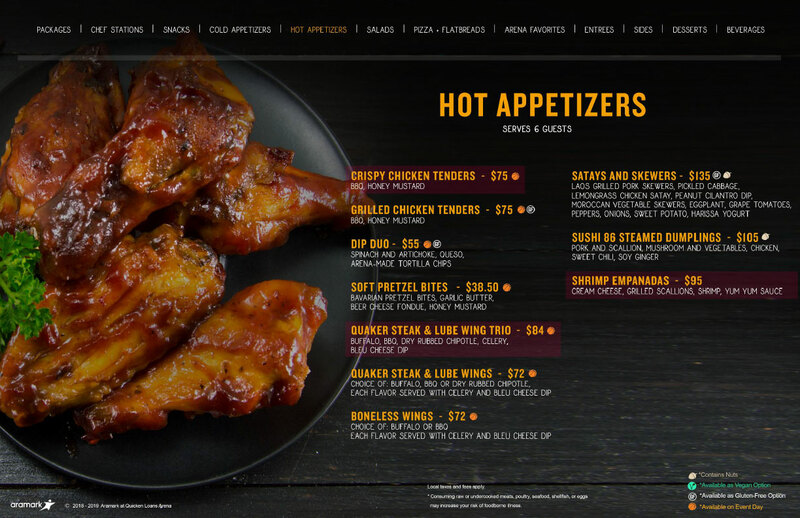 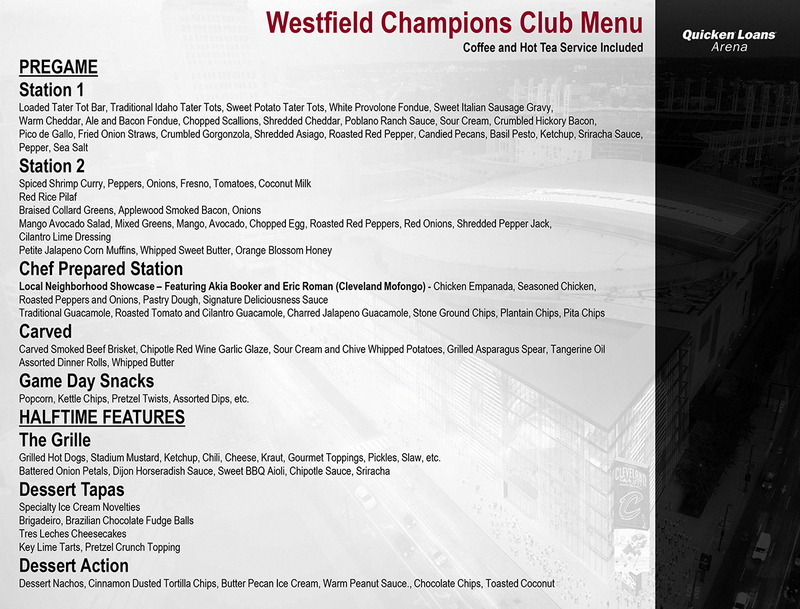 Westfield Champions Club celebrates the 2016 Cavaliers NBA Championship and Monsters Calder Cup victory with nostalgic imagery from an unforgettable year in Cleveland sports history. 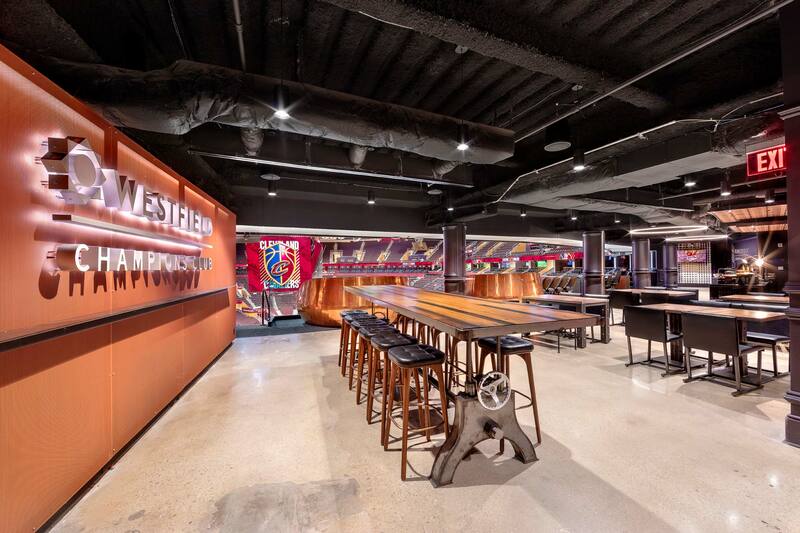 Seating in the Westfield Champions Club provides sweeping views from the south end of the arena. 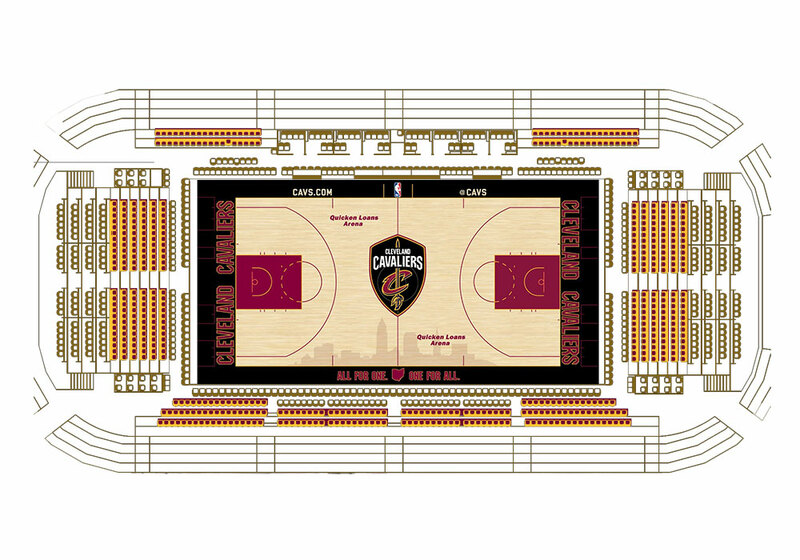 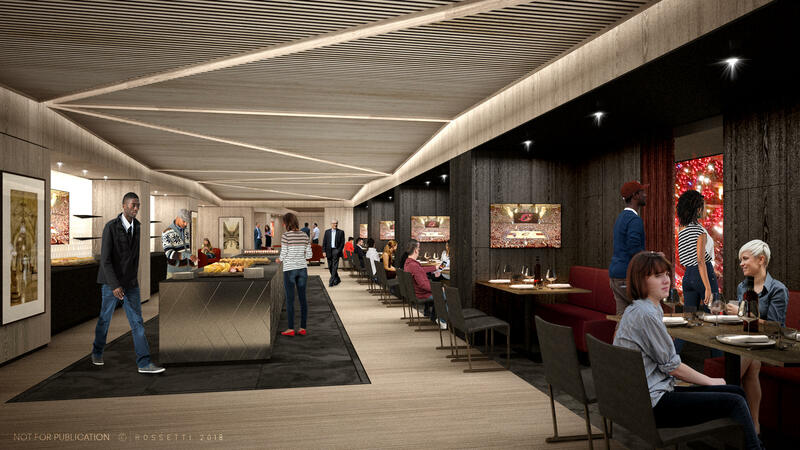 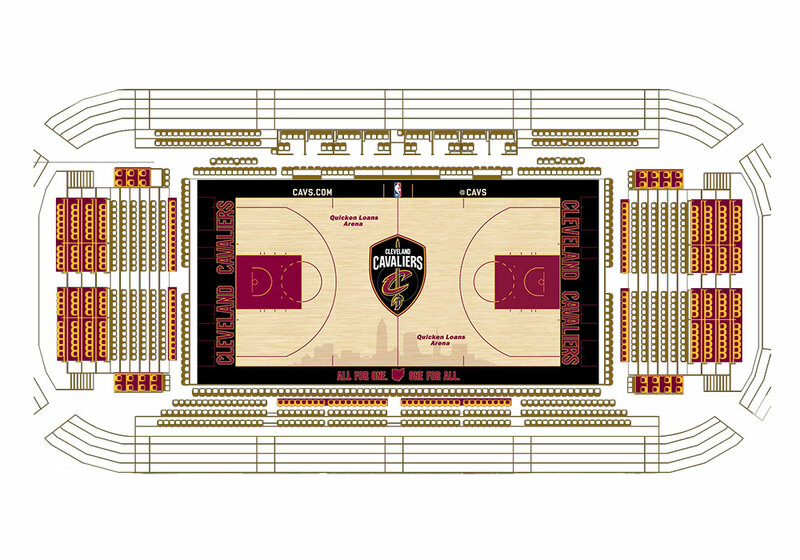 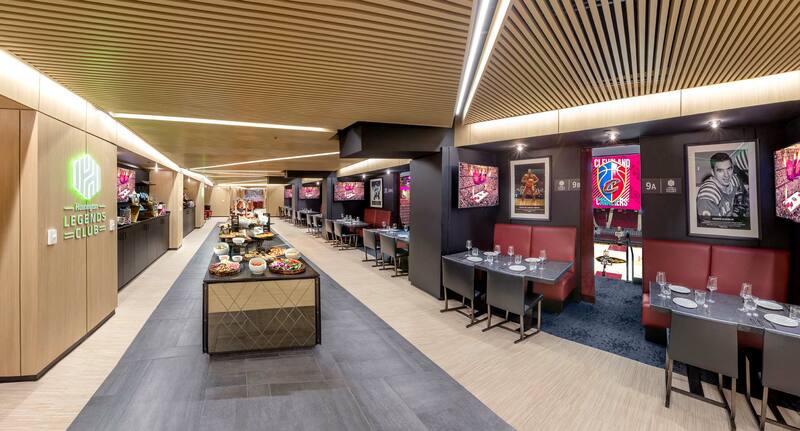 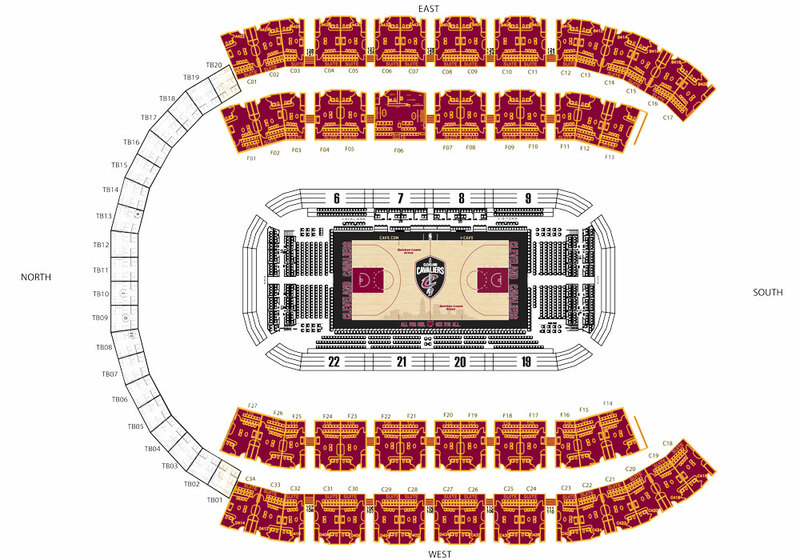 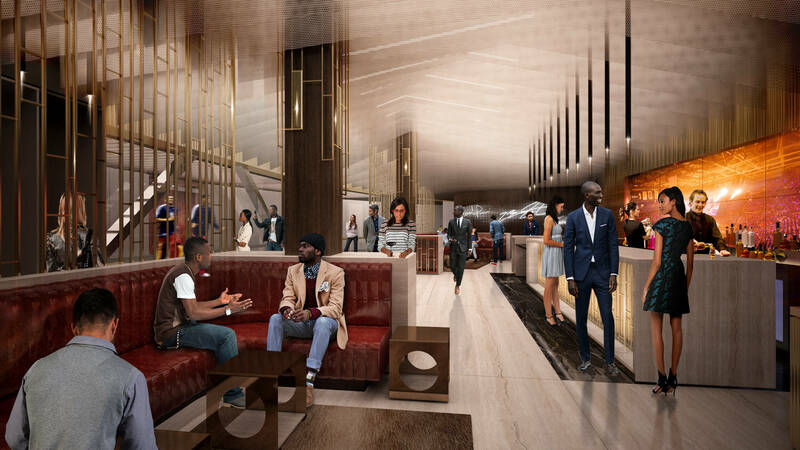 This club includes three unique seating options - Lounge Boxes, Club Boxes and Lounge Seating for all Cavaliers games. 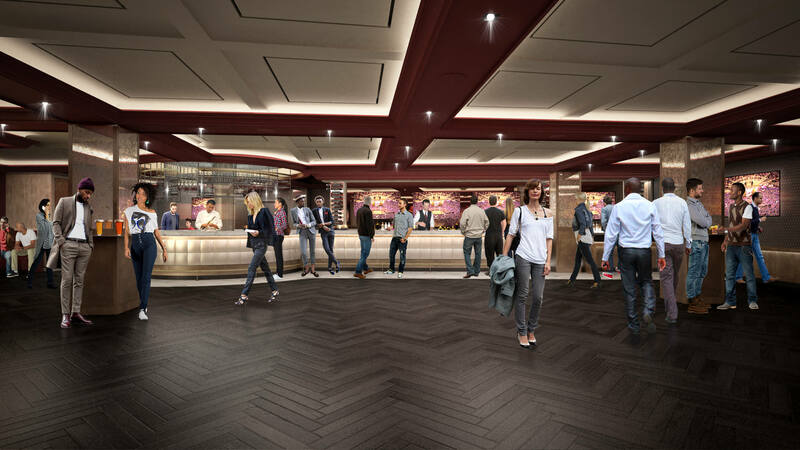 It also includes access to an exclusive, all-inclusive club area. 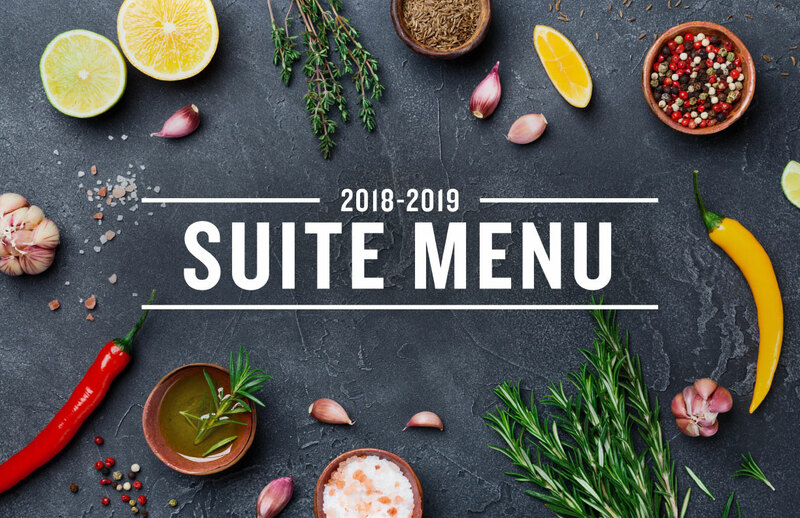 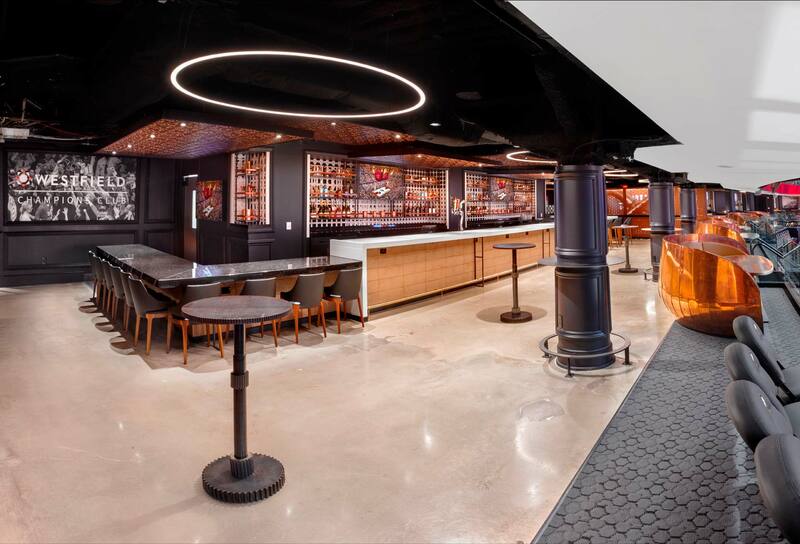 Rocket Mortgage FieldHouse’s reimagined Executive Suites are the ideal place to host top clients, hold an employee appreciation event, or just treat family and friends to a night out at Rocket Mortgage FieldHouse. 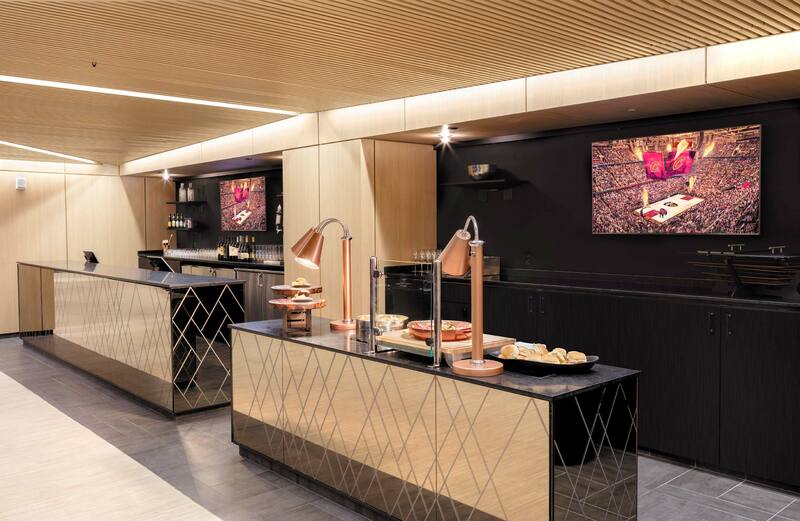 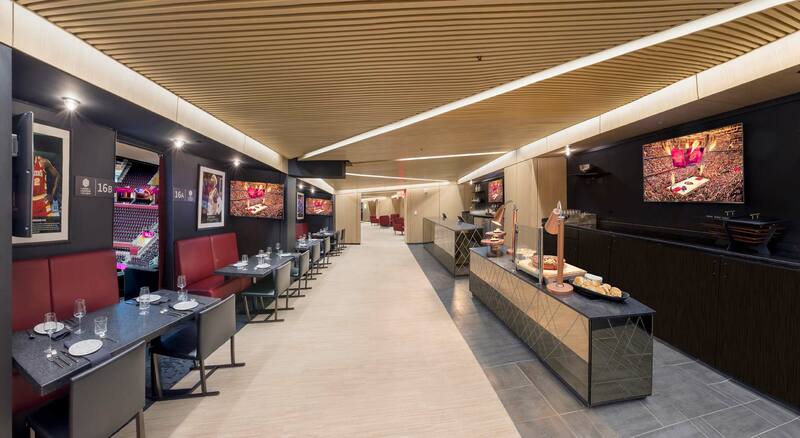 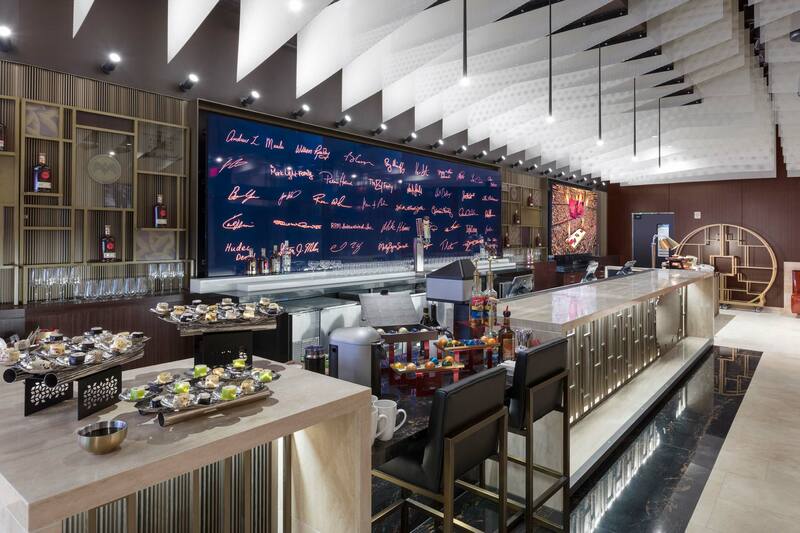 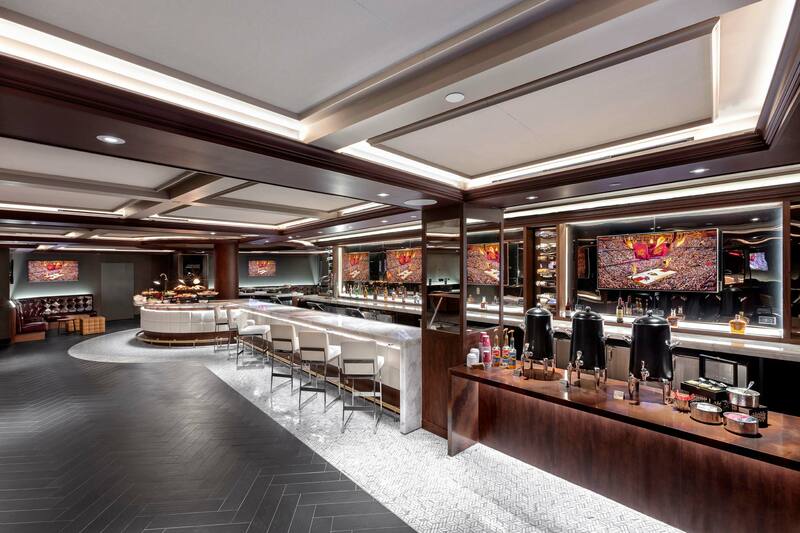 Each modernized Suite features a sleek copper table and bar swivel chairs, luxurious leather stadium seating, state-of-the-art food and drink prep areas and a private restroom. 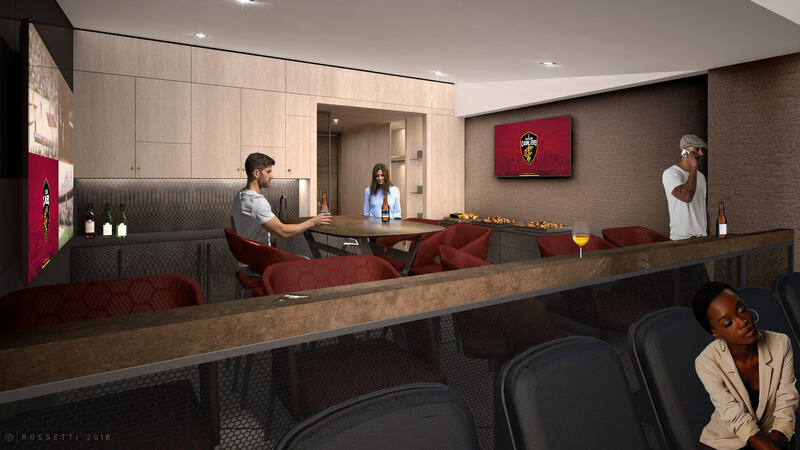 Additional features include a key-less entry door, a 75-inch flat screen TV and a 50-inch flat screen TV. 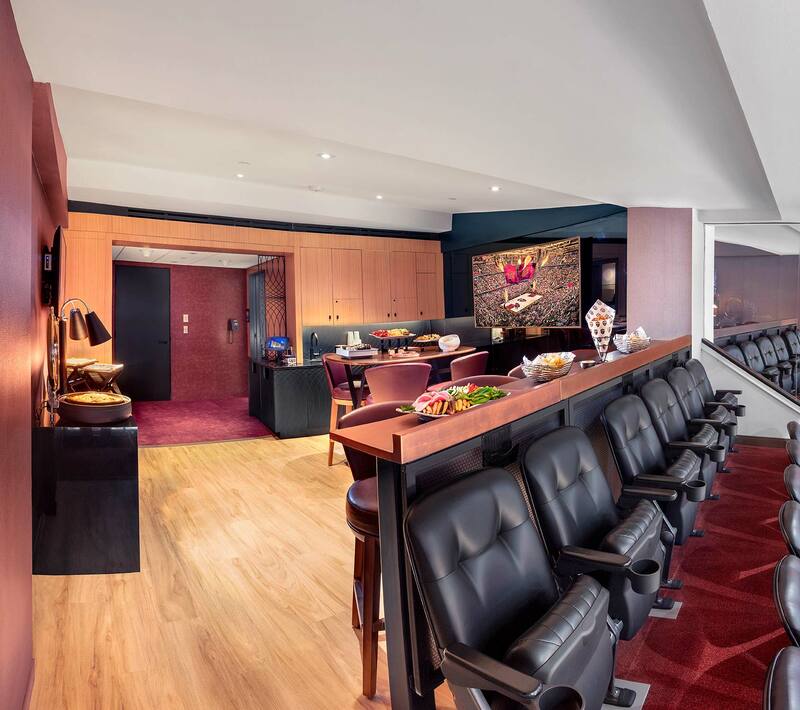 An Executive Suite accommodates a group of 12 to 18 guests for all Rocket Mortgage FieldHouse events. 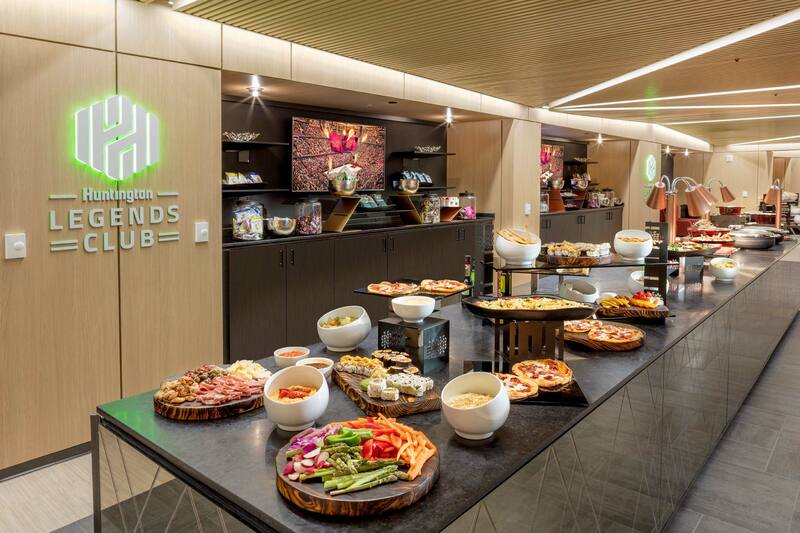 Located on the Huntington Bank Club Level and The Everstream Founders Level, single event suites are available. 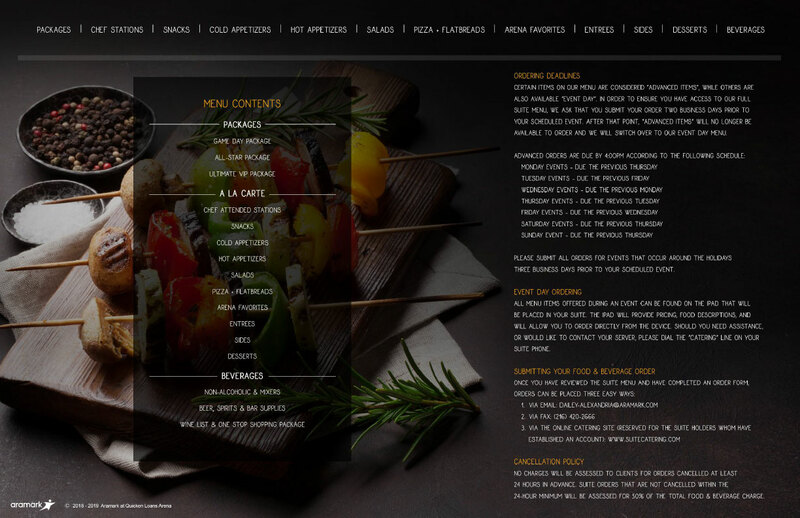 For pricing contact a Premium Sales Consultant today. 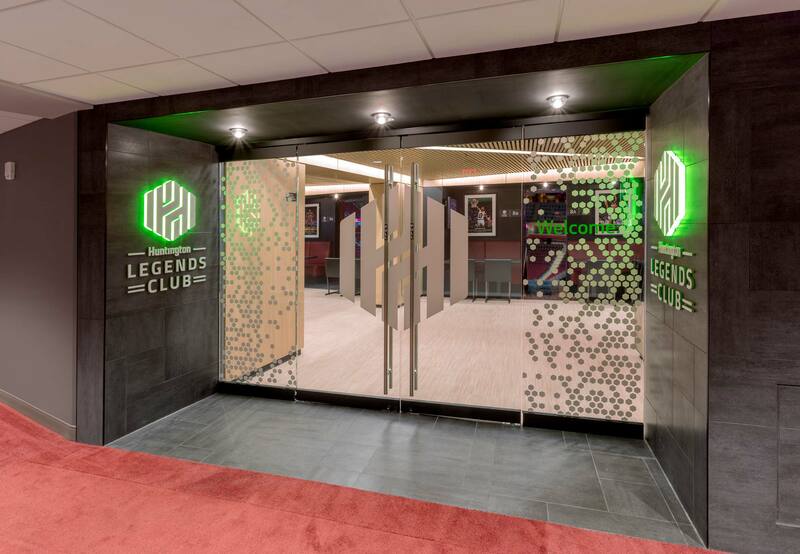 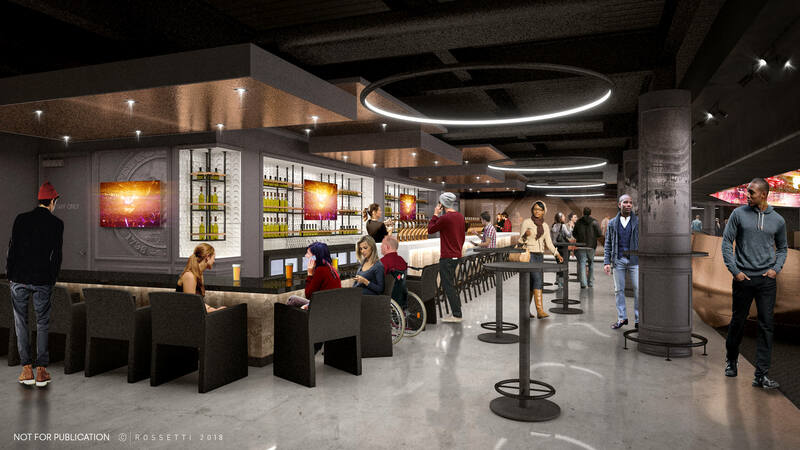 The Huntington Legends Club, located on the north end of Rocket Mortgage FieldHouse, features private theater box seating that overlooks the arena bowl with great views for all Cavaliers games and Rocket Mortgage FieldHouse events. 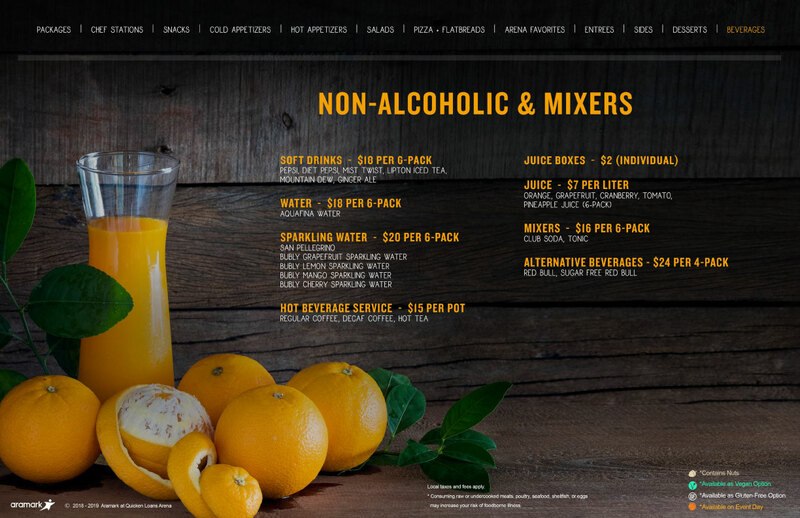 For pricing contact a Premium Sales Consultant today. 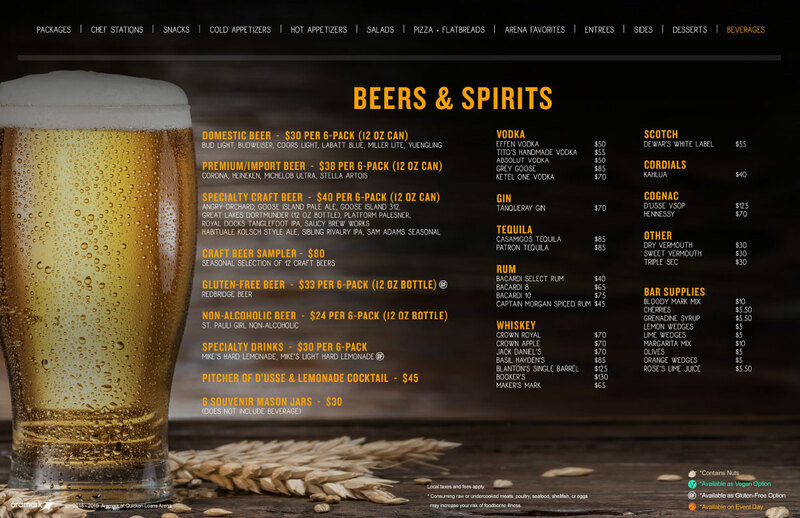 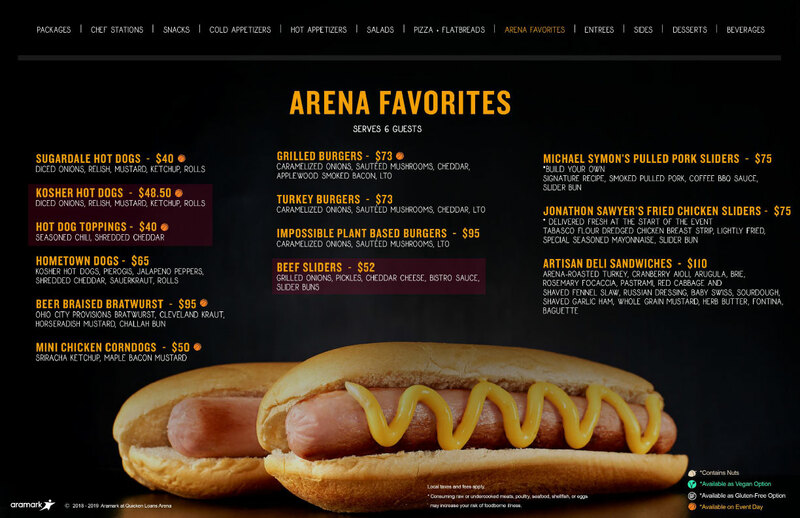 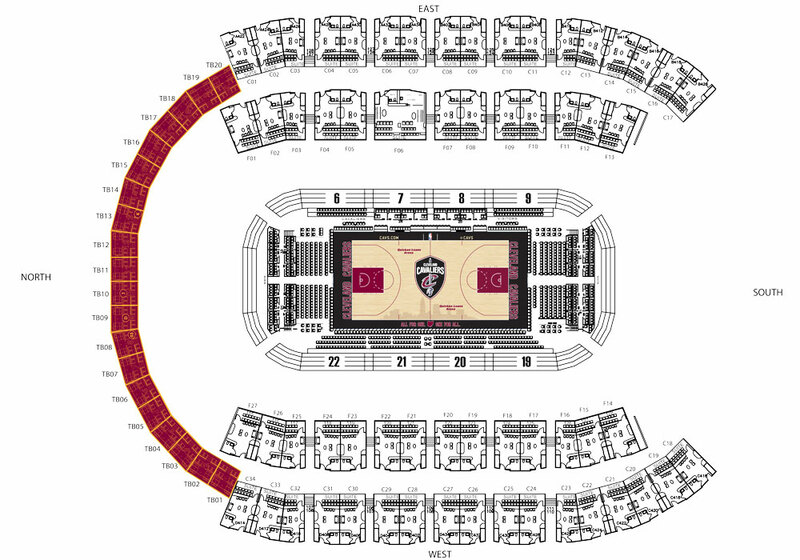 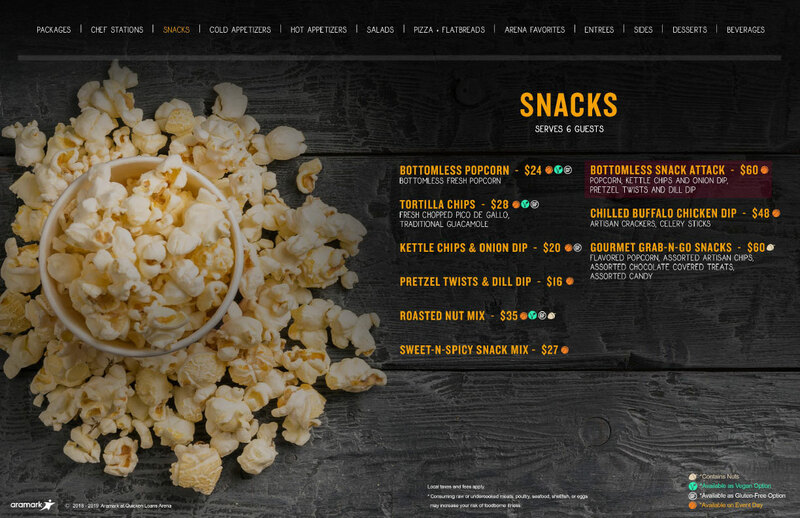 The Cleveland Cavaliers and Rocket Mortgage FieldHouse offer many premium seating options that are perfect for entertaining business clients or socializing with family and friends in style at Rocket Mortgage FieldHouse. 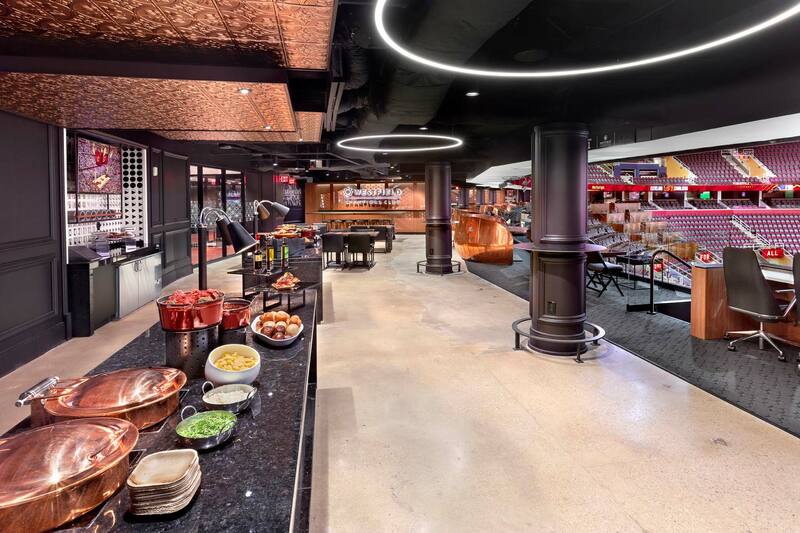 The experience of enjoying great hospitality and watching the live game action with terrific views of the court makes for an unforgettable and special night out! 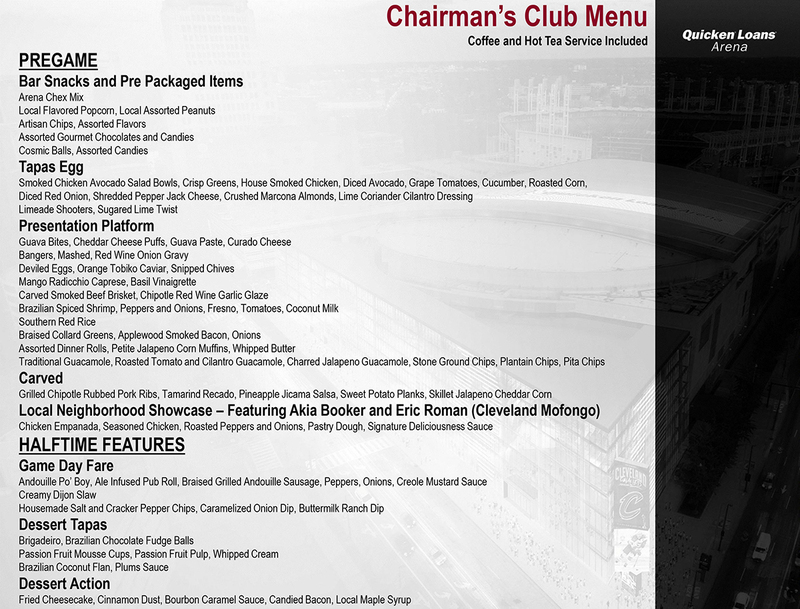 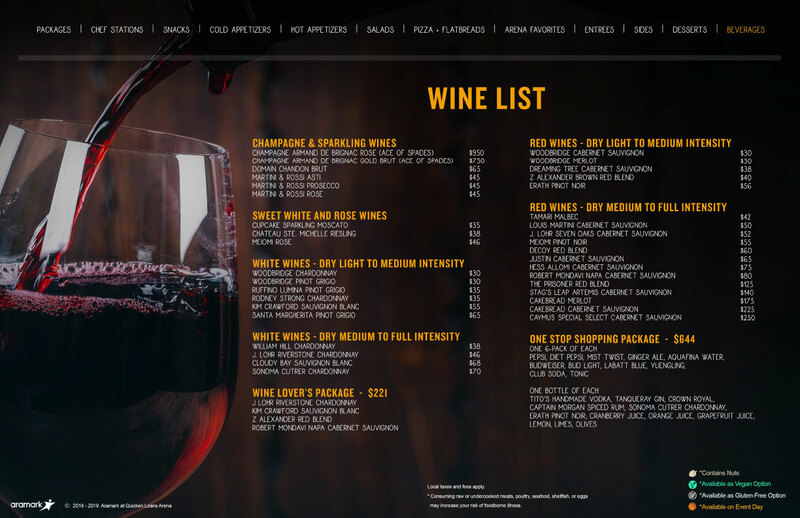 For more information on exclusive access and benefits, contact a Premium Sales Consultant at 216.420.2481 today!